This sad day has come. The last day of September Sewing Celebration, in honor of National Sewing Month, although it seems rather silly to lament something I will continue [though not with the intensity and frequency this month has demanded.] It's been a busy, but rewarding 30 days. I've gotten most my family members to participate, I've had such a fun time offering these amazing giveaway prizes and I've made new friends, for certainly it wouldn't have had the affect on me it did without actual people reading and commenting as I went along. So, thank you to my family who shared their talents. Thank you to all those who donated such marvelous wares for the giveaways, and thank you dear readers for playing along and leaving your kind words here. This is the last day to enter all the giveaways for the month. They are all separate, and you must leave your comments on the respective post to be entered. My weapon of choice. Ginghers. Winner: Julia, stop cutting bags of Sister Schubert's rolls open with your sewing scissors! 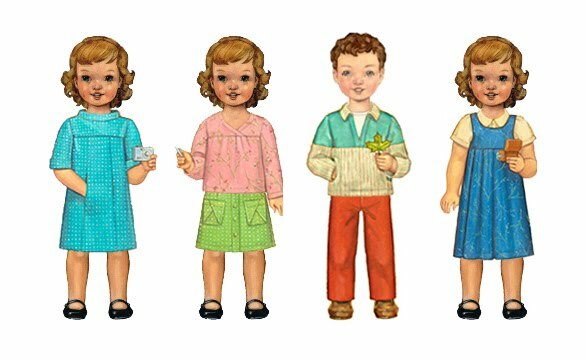 Instructor of choice: Oliver + S. The new School Photo Dress pattern. Winner: Mere Catholic, I also hope Oliver + S makes women's patterns one day. 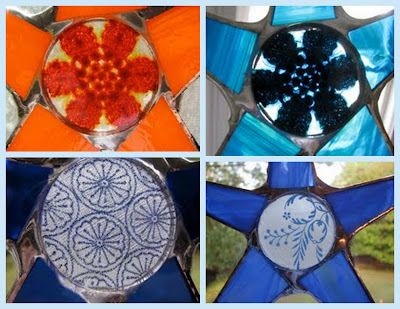 Decor of choice: Stained glass stars. 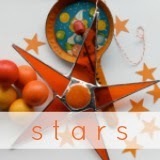 And in honor of my September Sewing Celebration, they've created a fabric backed line of stars! Winner: Anna, glad you're as fond of my dad's stars as I am. Subscription of choice: Ottobre Magazine. Winner: Ginny, you can cross this off your wishlist! Fellow blogger patterns of choice: Jessica of Happy Together. Indigo Bleu Photography, what lucky clients you have! and Sheryl & Ben, I'm assuming Sheryl is the one who entered. and Danielle of my sparkle. Peta, you can cut back on your stain soaker! Carly, you must go out and get some of your own checkered pleather! Amber, I think you might love it even more on your little one! 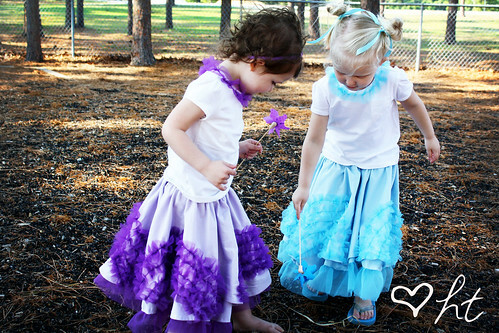 Fabric of choice: ruffles and ruffles. Felt of choice: Purl Soho. Japanese literature of choice: Japanese Pattern Books. Meagan Shuttleworth, glad you're getting lots of sewing done! From my other weapon of choice: $100 sewing paraphernalia gift bag. haysie-doodle, so pleased you're a fan of paraphernalia, too! And one last giveaway. From me to you. Natalie@our old southern house, you've been hard at work! Thank you again for an especially fun month! thanks so much for introducing me to so many new products, projects and prettiness. it was an awesome month! Thank you for all the inspiration this month! I've looked forward to checking your blog every day to see what new gem awaits. Thanks to you and your guests for sharing your many talents. I am going to miss it, too. I'm impressed by your dedication and I know it has been a LOT of work! Thank you Mrs. No Big Dill. Thank you for the time you took to organize everything for a fun sewing month! In case you don't have it any more, my email address is altheathegreat(at)gmail(dot)com. 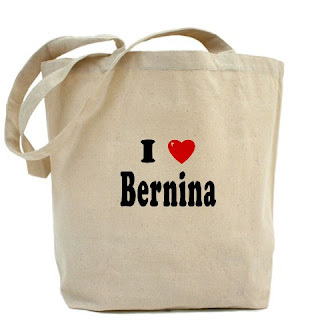 And I didn't know Bernina had free patterns either! Yay for free patterns!!! I love how you announced all of these winners! Congrats to everyone! Oh I am so excited. I will email you my information. Where would I be able to purchase the Japanese pattern book? ?